If anyone can help out and recommend something for him or multiples, it would be very appreciated. I told him to go to Kesagami but he doesnt want the fly-in nor the distance. (I found it too expensive). Anyways, any help would be awesome. I think he is looking for a lake in the middle of no where type of camp. Or lodge. He tends to fish this area a lot and wants to experience somewhere different. There must be some camps people have been to that they enjoyed...hopefully. Agree with BillM - there are a ton of places to fish in Quebec where he can catch pike and walleyes till his arms fall off. Pourvoirie du Balbuzard Sauvage (Literal translation - "Domain of the savage bald buzzard," ..... lots of ospreys there) is in Abitibi region on Lac Trevet. It's not far from Seneterre, and a good drive north of Ottawa (you want a 4x4). There's a very nice lodge with decent boats and absolutely incredible food, since the owner, Anik, is a certified gourmet chef). 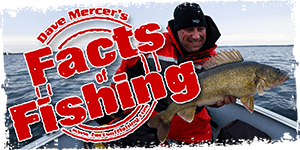 The main lake has some mongo pike and walleye, but if he wants numbers then it's best to ATV into the back lakes, which are seldom touched. I had a pretty good time when I went (pike to 45 inches, walleyes to about 8 pounds). Click here for the lodge website. I'll let him know. Thanks a lot for this info. Anyone else that has had any good experiences? Thanks to all, I will let him know.